Canadians will soon be able to charge their electric vehicles and shop for furniture at the same time. 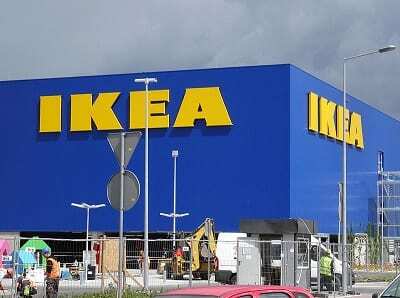 Thanks to IKEA, the world largest furniture retailer, Canadians may find that charging their electric cars will become a little easier, as the Swedish company announced at the Climate Summit of the Americas, last week, that it plans to install 60-amp EV charging stations at all 12 of its stores in Canada by the end of August, reported CBC News. The charging stations will be free to use. Sun Country Highway, a Canadian energy firm, will be installing the stations. The charger that the company will install is compatible will all electric vehicles (EVs) currently sold in Canada. In addition, the charger has enough power to recharge about 80% of an EV battery in less than three hours. IKEA believes that it is the perfect retailer for such an initiative, due to the fact that the locations of its stores are typically in close proximity to major highways. It says this gives the company the advantage of helping EV drivers overcome “range anxiety”; those electric car drivers who may be concerned about running out of power on a long ride. The EV charging stations are another part of IKEA’s long-term sustainability plan. It is no secret that IKEA is working hard to bolster its green image. The company is well-known for making significant renewable energy investments. Last year, the furniture retail giant achieved 100% renewable power use in all of its stores. Some of the ways in which it accomplished this feat in Canada was by investing in various clean energy projects, such as a 46 MW (megawatt) wind farm in Alberta, the largest geothermal installation in Manitoba, and 4,000 solar rooftop panels on three of its stores in Ontario.